Ah! Mykonos! 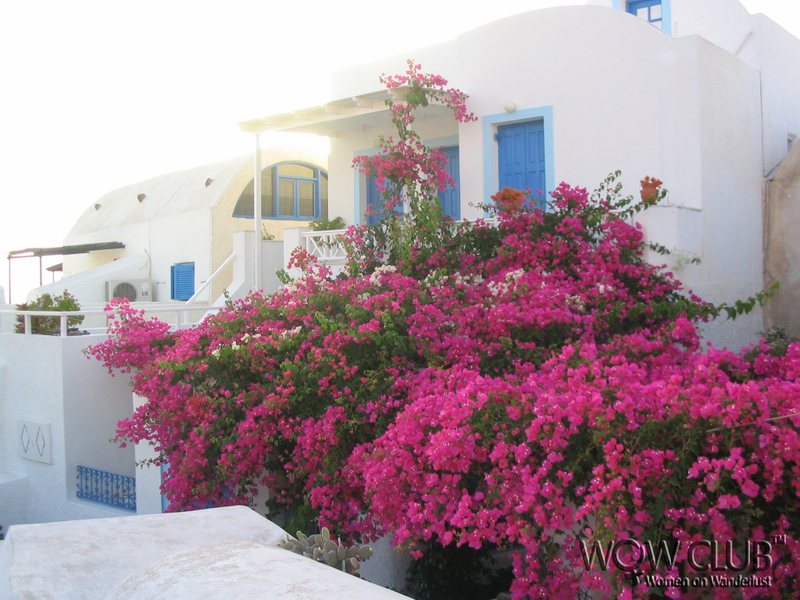 Bathed in brilliant sunshine, Mykonos is the same fairy tale island where SRK woos Rani Mukherjee in Chalte Chalte! Unique Cycladic architecture set around a picturesque fishing-village bay constitutes Mykenos, named after Apollo’s grandson Mykons. Whitewashed cube-like buildings fit closely together to form a dizzy maze of narrow alley ways and streets. Earthy colors of hills surround the town’s white centre blended with snatches of an azure blue sky,bougainvillea and the sparkling blue seas. Olive oil and related products, spices and herbs, capers, figs and various nuts and legumes provide for an aromatic stroll, while linen fashion wear, leather goods and sandals and lots of jewelry stores made up the rest. We also discover that it is fairly easy to get lost! We set out to search for Petros the Pelican, a waterfront celebrity! Found after a storm some fifty odd years ago the pelican gave up migrating to become a Mykenos resident, but Petros eventually died. Mourned by the locals as well as the tourists, a replacement was found which carries on through generations of mascot pelicans. We find him in one of the cafes moving around the tables, hoping to get a bite or two! The sea is rough and we taste the salty waters on our faces. Along with a detailed map, we take on the role of discoverers as we start our walk round this barren, parched sliver of unoccupied land some eight km in size. During the Greek era, Delos was revered as a major religious center and was the destination for countless pilgrims from all corners of the world. All that remains of its past glory is a vast jumble of silent ruins. In ancient times it was forbidden to give birth or die on Delos. Even today, no one can stay overnight on this island that is a World Heritage site. We admire the sprawling ruins of an ancient 11th-century Byzantine church and walk around a bit before we discover the House of Dionysus named after the mosaic that depicts Dionysus, the God of Wine, riding on a panther. We stop to visit what was once the temples dedicated to Apollo, the Agora or marketplaces, elegant houses, pedestrian pathways, shops, and warehouses and the iconic lion statues. We learn that the original lions have been kept inside the island’s museum to preserve them. There are huge stretches of the island we have not been able to explore. Too soon, we need to get back from the past to the present, but with a better understanding of how closely intertwined the two can be. Remembering Greece tugs at the heart. Be it the White Dreams of Mykenos or the staggering Caldera vista which makes you believe that somewhere under the depths of the sea is Atlantis or the surrealistic grandeur of the Parthenon, the country’s physical beauty haunts us so much that we dream of a time when we can return. Greece will be missed and will torment us till we return.